Are there scurrying, squeaking, or scratching noises happening above your head that’s keeping you up at night? If so, you may have unwanted houseguests living in your attic. To ensure you and your family are protected, we recommend letting the experts at Critter Control® of Orlando remove the mice from your home. Having an infestation of mice in your home can put your family’s health and well-being at risk. Because mice constantly urinate and defecate everywhere they go, they contaminate any surface they come in contact with. The disease and bacteria some mice carry in their fur and paws are easily tracked across countertops, utensils, and appliances. Although mice are extremely adaptive and persistent pests, there are things you can do inside and around your property to help deter them from invading your home. 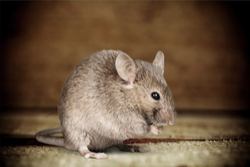 If you’ve detected signs of mice living in your attic, let the professionals at Critter Control® of Orlando help you solve your rodent problem. We will safely and humanely remove the mice, clean up any messes, and repair any damage the pests have left behind. We offer prevention services to ensure wildlife stays out of your home as well as attic insulation and restoration services to return your attic to its original state. For more information or to schedule your free home consultation, call us today at 407.295.7194.